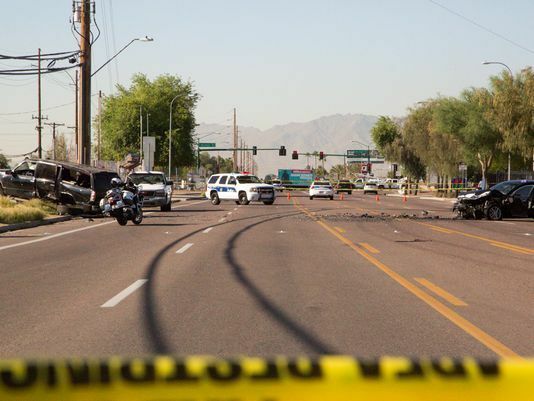 Phoenix, Arizona—A collision between a sedan and an SUV claimed the life of a Valley man during this morning’s rush hour. The tragic accident occurred on 67th Avenue just north of Buckeye Road. Phoenix Police Department accident investigators report that a woman exited a private driveway onto 67th Avenue and collided with a man driving an SUV southbound. The as-yet unidentified man was transported to hospital where he died about an hour later. The woman was treated for her injuries at the hospital and is expected to recover. Accident investigators have not released the names of either driver as their investigation continues. We extend our condolences to the family and friends of the man who died, and we wish the woman a speedy recovery.